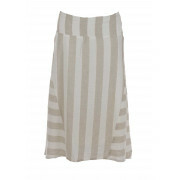 Braintree present their vintage inspired Latifa skirt which would be a flattering choice for all silhouettes. 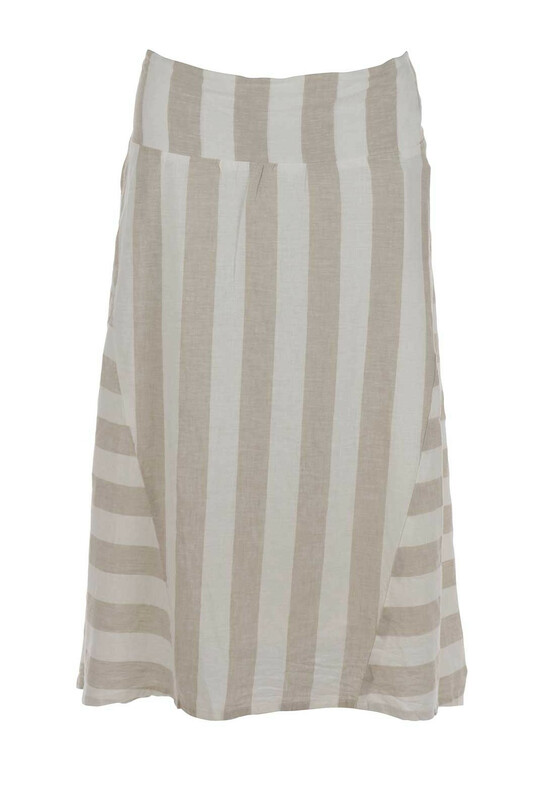 Add a sleeveless vest top and flat sandals to create a summery daytime look. 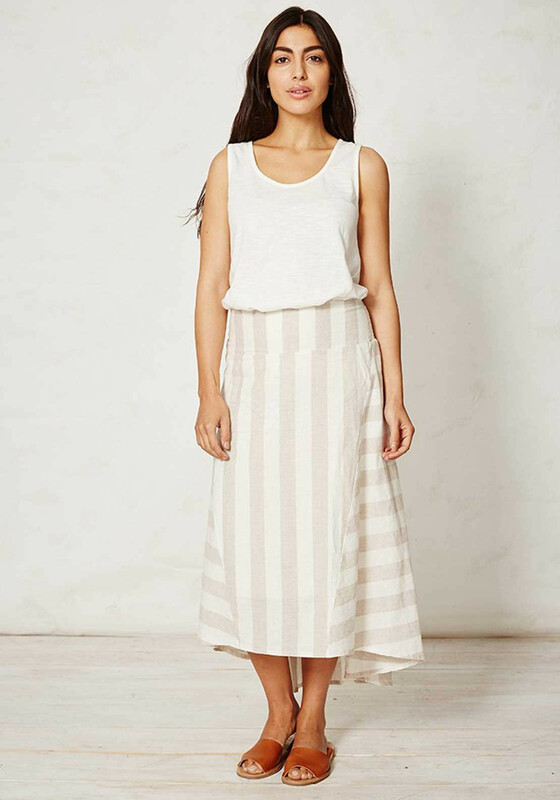 Styled with a flowing midi length A-line shape and featuring a dipped hem that is longer at the back. 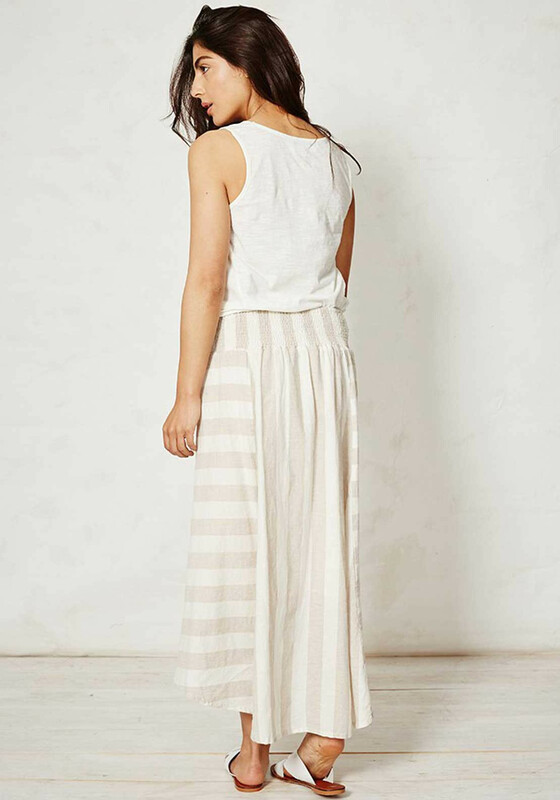 Made from lightweight hemp and cotton blend fabric with a striped print throughout. A semi-elasticated waistband will deliver excellent comfort. 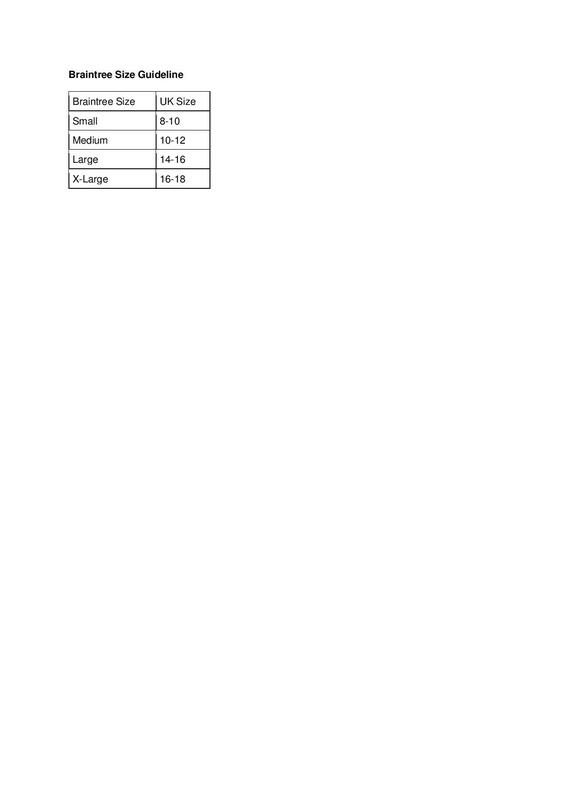 Length: Front Hem - 71cm approx. Rear Hem – 86cm approx.